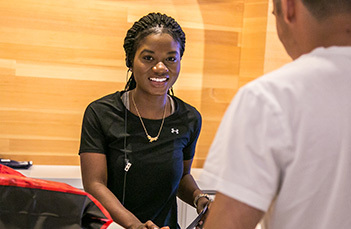 Part - Time Sales Lead - Riverwalk (New Orleans, LA) at Under Armour, Inc. The Sales Leader supports the store leadership team by effectively performing the responsibilities of a leader on duty (QB) by creating a selling culture and enhances the customer’s experience and achieves the store sales goals. 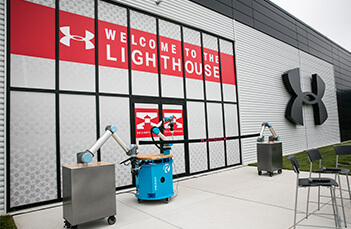 In the absence of a member of management, the Sales Leader is responsible for the daily operation of the store.The Sales Leader is expected to model Under Armour’s Core Competencies and I WILL behaviors in all actions and interactions in order to maintain a positive Teammate and Athlete experience. Act as the QB and consistently models the brand’s Athlete service standards and selling behaviors. Communicate clear shift expectations and hold the store associates and themselves accountable to achieving all brand, performance and behavior standards throughout their shift. Partner with the Store leadership team in the execution of the store business plan to drive KPI results and maximizes business opportunities. Oversees and ensures efficiency of all daily operational procedures throughout QB shift. Motivate associates by providing feedback and recognition for behaviors that drive positive results throughout QB shift. Recognize and communicate associate performance issues to store leadership in a timely manner to develop plans for resolution. Drive teammate engagement by recognizing and rewarding teammates for their outstanding performance throughout QB shift. Conduct new hire training for new sales teammates. · Minimum High School education or equivalent. · Minimum 1 – 2 year retail experience or equivalent education. · Team leader experience preferred. · Ability to move or handle merchandise up to 25 lbs. · Ability to work a flexible schedule to meet the needs of the business, including holidays, nights and weekends. · Demonstrated ability to communicate effectively with athletes and store team. · Demonstrated collaborate skills and ability to work well within a team. · Computer and technology proficient.